I have been installing irrigation systems for Debbie & Dan at Natural Images for well over ten years. They have always been a pleasure to co-ordinate jobs with and are flexible to do whatever it takes to get the job done properly. I look forward to many more years of continued business together. I have been dealing with Natural Images for ? 6 or 7 years now at my cottage on Lake Muskoka. I called Deb, she came right away and just said " I have a vision of what this will be". 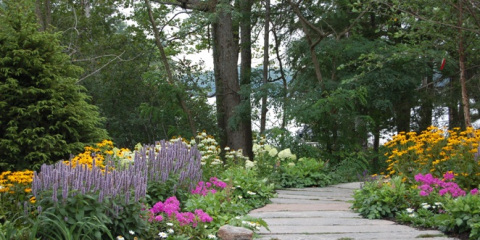 She came up with a plan and she and her staff followed through with a beautiful garden that family and friends just say "wow" when they visit. When the cottage was evaluated 2 weeks ago, they also said wow. Whenever I want to change or expand, she is there to access and put a plan in place. Three years ago, they installed a beautiful granite stairway to the dock. I highly recommend Natural Images. This company goes above and beyond your expectations. Debbie and Dan (owners) treated our work as if they were working on their own home. Dan is the nicest and easiest individual to work with. He worked hard and got our approval every step of the transformation. He was pleasant and obliging. Debbie was flexible( once we saw their work and the results we expanded the scope to our entire property) and creative and bent over backwards to accommodate our budget. Our whole experience working with Natural Images was amazing. I am in the customer service industry so my expectations are extremely high and for them to surpass them is incredible. Everyone who goes by our property in their boat slows down and gets out their cameras. As most people say it looks like it just came out of a magazine and it is absolutely breath taking our gorgeous waterfall and gardens. Kudos to the planting crew who also accommodated all of our requests. Thank you to Debbie and Dan and their crews for an outstanding transformation and making our experience working with all of you an absolute pleasure. You are the best! We strive to create the highest quality work, while remaining focused on cost, quality, function, and aesthetics. Our quality of work is proven by our many client referrals. 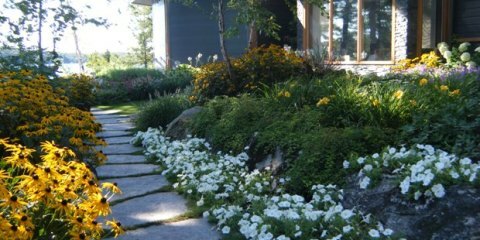 With over 18 years in the industry, Natural Images Gardening & Landscaping Ltd. respects and preserves Muskoka’s natural settings, and utilizes only top grade materials for all landscapes. 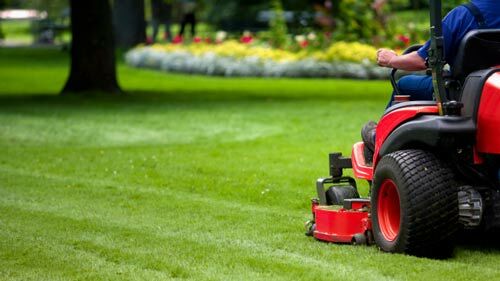 As you settle into your new landscape we recommend our personalized maintenance program to ensure the property will flourish and keep its beauty for years to come. 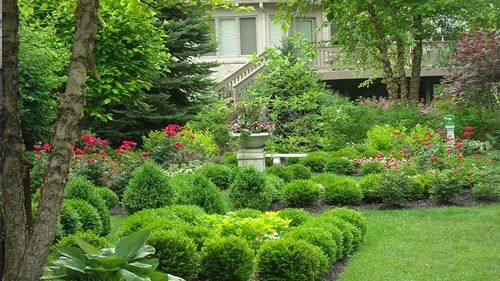 Natural Images uses only the Highest Quality Materials to ensure that your landscape will remain beautiful year after year with regular maintenance. 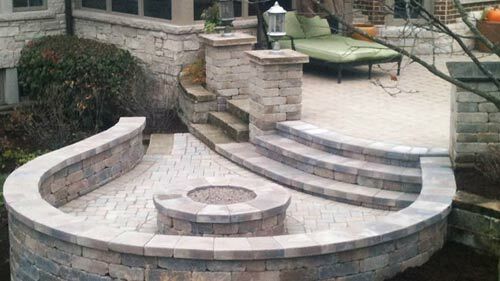 We’re so confident that after meeting with us and viewing some of our designs that you will be excited to work with us and provide you only the very best, highest quality in a timely manner all while staying focused on your budget! 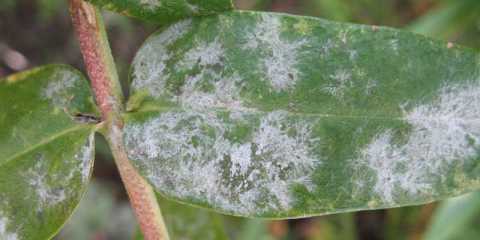 Getting rid of powdery mildew As far as plant diseases go, powdery white mildew is not something you have to panic over if you notice it in your flower or vegetable garden. 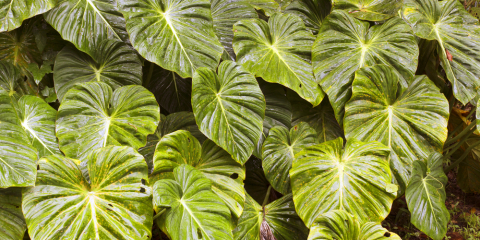 It is a common fungal disease for pla ..
Bold-leafed plants give your garden the “wow factor” When you think of a garden that creates a wow impression, many of us think that look is achieved by using a variety of flowers in different colours and sizes. However, there is ano .. The convenience of an instant garden In today’s world, people want things and they want them right now! 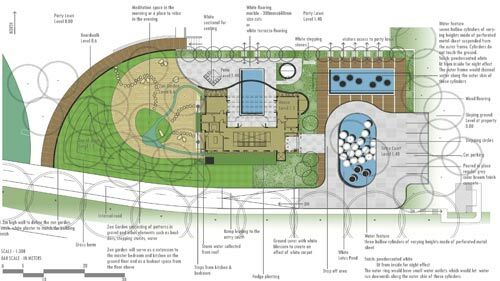 Such is the way for those who want a beautifully landscaped garden but don’t want or have the time to build it fr ..
Water features are a must for any garden or outdoor space There are many ways to design and create a beautiful outdoor garden space, but there is one way to add a special enhancing element to any outdoor design – a water feature. W ..